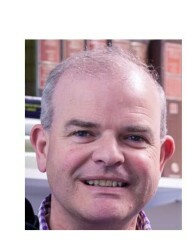 Nick Long is the Sir Edward Frankland BP Chair in Inorganic Chemistry. The Long Group have expertise in applied synthetic inorganic and organometallic chemistry. Research interests focus on transition metal and lanthanide chemistry for the synthesis of functional molecules, homogeneous catalysis and in recent years, probe design and novel methodologies for biomedical imaging. Nick has published around 190 papers, including several high impact review articles and textbooks - ''Metallocenes'' and 'The Chemistry of Molecular Imaging' (http://eu.wiley.com/WileyCDA/WileyTitle/productCd-1118093275.html). He was awarded the 2006 RSC Prize in Organometallic Chemistry, was a Leverhulme Trust Research Fellow 2009/10 and in 2011, became a Fellow of the Royal Society of Chemistry and was appointed to the Frankland Chair. In 2018, Nick was awarded a Royal Society Wolfson Research Merit grant. Applications from prospective researchers are welcomed at the postgraduate and postdoctoral level - see the group web pages (link above) for further details about Nick, his research interests and group.